Happy Halloween! Be safe wherever you are. 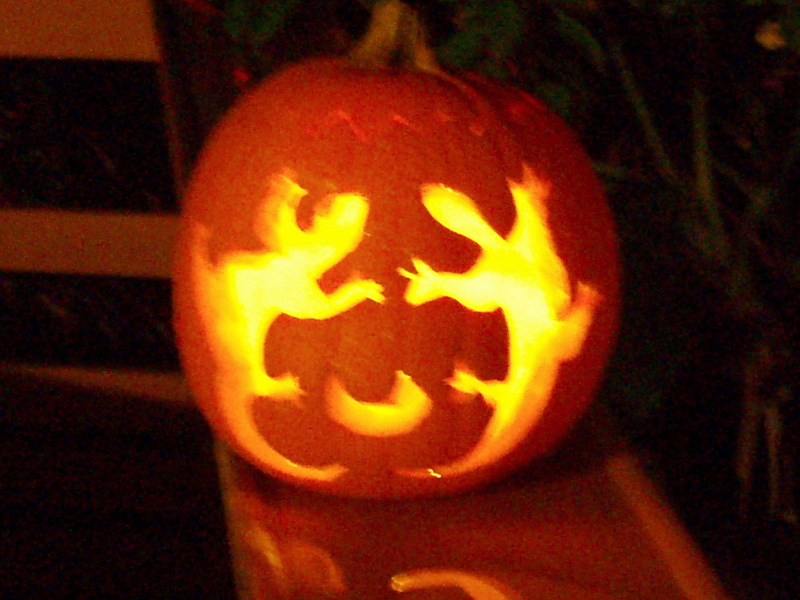 Jack O' Lantern with geckos. Yup, I know the picture's a bit blurry - taking night time photography is not one of my skill sets!